KAGITUMBA – Following the closure of the Uganda-Rwanda borders, residents have resorted to quick means of survival, sneaking into both countries using illegal routes to smuggle goods from either side. 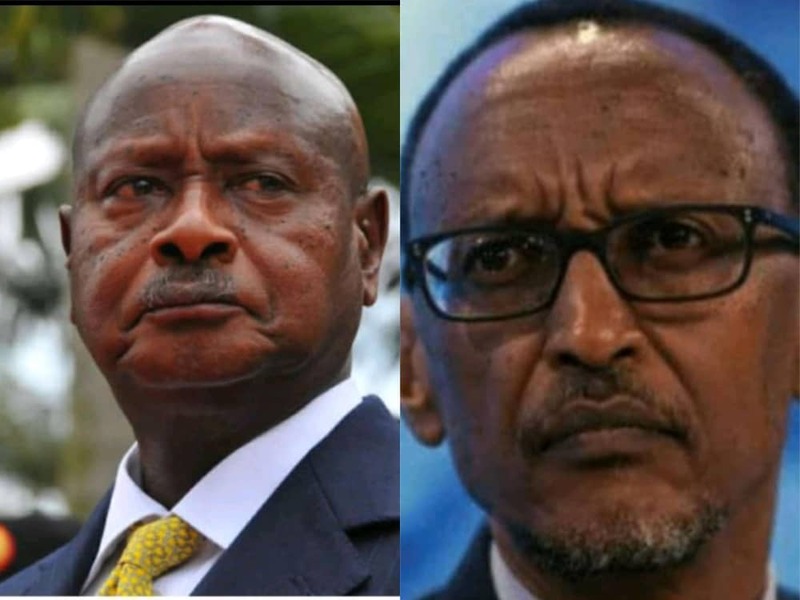 Recently, Rwanda advised her citizens not to travel to Uganda, citing arrests, harassment and torture, which has stalled business between the two countries. At the Mirama Hills/Kagitumba border posts, muscle and daring young men have continued to use illegal routes to smuggle goods, some of which were being guarded by armed security personnel, according to New Vision publishers. When visited some of the illegal routes especially in the villages of Kigando, adjacent to Kafunjo town, men pushing heavily loaded bicycles carrying sugar and other items are seen offloading them at the river separating the two countries, carry them across on heads and later reload to sale in Rwanda. One of the matooke vendors at the Mirama Hills border (name withheld) narrated how he, on several occasions had escaped arrest by Rwandan security men after he was netted crossing the river with matooke. “I always carry my matooke near the river and monitor the security personnel across, when they leave I carry my matooke across and quickly ride into Kagitumba town,” he said. He, however, said he was twice intercepted by security personnel who move with guns and sticks but many who knew him forgave him because of his age. “They know me well because I have been selling food in Kagitumba for a long time, but they warned me and ordered to take it back. I hid near the water channel until they left and I crossed,” the vendor told colleagues. Many have however faced the wrath of security men who whip whoever is arrested trying to cross to Uganda or smuggling goods into their country. Unable to find what to do, many youths around the border normally jam around cargo trucks that use the route for quick deals. A money changer at the Mirama Hills said he had been contacted by several businessmen to get for them buyers of their vehicles and other property. “Rwanda closed its border to its citizens and have since restricted them from coming to Uganda. Many had parked their cars here and they now want to sell them off,” he explained. He said others who own Ugandan registered vehicles parked them in their garages inside Rwanda after getting information that they were not permitted to drive them. “If you want to buy any of these cars I can lead you to their homes, agree and pay and we shall help you to bring the vehicle to Uganda,” the money changer revealed. Some of the abandoned cars were seen still being parked in private homes and private parking yards. “He was my customer, he would park his car and go to Rwanda and would find it here.